You are specially invited to the 11-11 Birthday celebration of Positive-praise. This event: organised by Positive Image Concept, in Collaboration with WAOHR World Aid Organisation for Human Rights, features Live band groove with friends, Comedy, Dance, Artists performance and lots more. 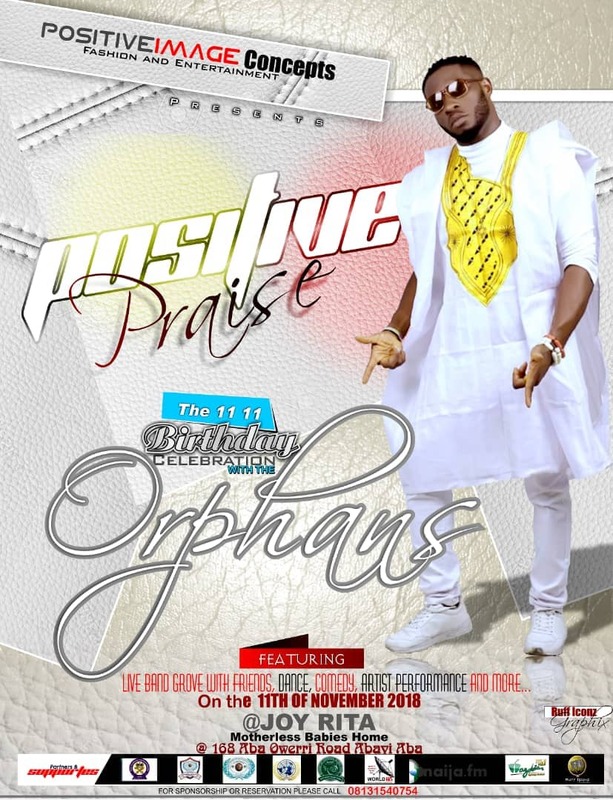 The most outstanding thing about the 11- 11 Birthday of Mr Positive-praise is how it is organised to benefit the less privileged. 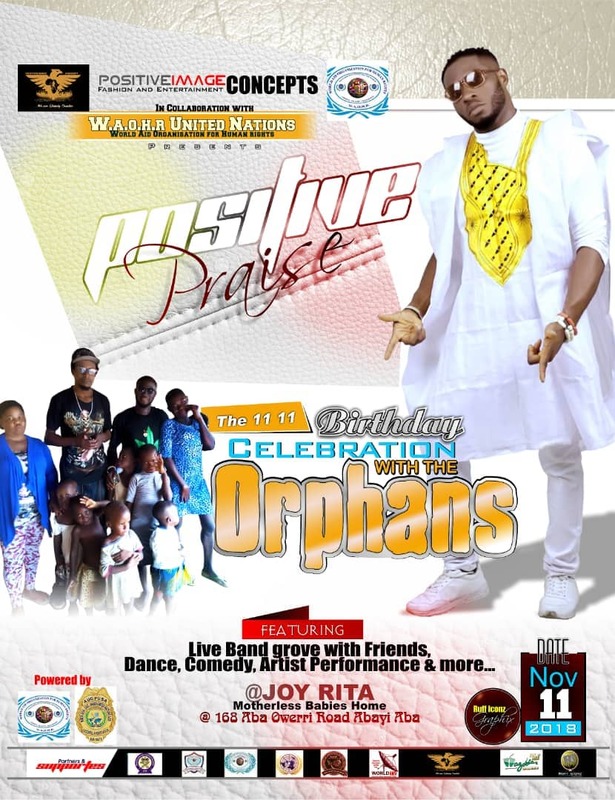 In fact, the venue for this celebration has been scheduled to be at Joy Rita motherless Babies home. No 168 Aba Owerri Road Abayi, Aba. With respect to the Date Nov 11, 2018, you are highly invited to be there. Is there any way you'll like to support the program? Maybe, you are an artist and want to perform on that day, or you have some donations for the orphanage? The door is widely open for you.